Together the collection demonstrates the major developments in steam engine technology. In addition to these engines, we have also collected examples of diesel, electric, water and animal powered pumping engines. The museum also acquires items associated with water. 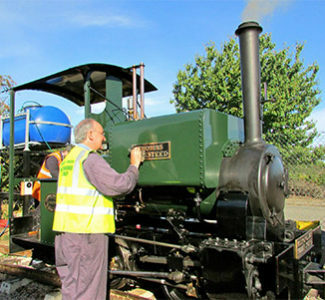 The term “Cornish” refers to the operating cycle of these engines, although three in the museum collection were also manufactured in Cornwall. The main characteristic of a Cornish engine is that pumping is done by a falling weight which is lifted by the engine. This weight is positioned above the pump, which is linked to a beam, with the piston attached to the opposite end of this beam. The weight is lifted by a combination of steam pressure above, and vacuum below, the piston. During the pumping stroke, as the weight falls, the piston returns to the top of the cylinder because an equilibrium valve opens to allow steam to pass from above to below the piston. The speed of movement varies during the cycle, making a Cornish engine both exciting to watch and to drive. 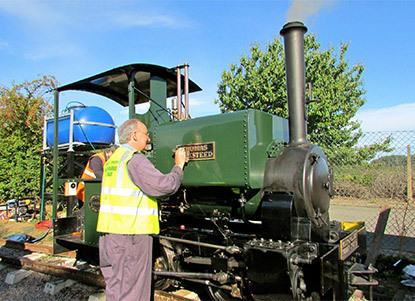 The museum has the largest collection of Cornish engines in the world, including the world’s largest working single cylinder steam engine and the only complete in-situ Bull engine. In the Steam Hall there are four large rotative steam pumping engines plus a number of smaller ancilliary engines. In the rotative engine the linear motion of the piston is converted into rotary motion by the crank. The use of both cranks and large flywheels balance out the varying thrusts and loads, thus allowing the engines to operate steadily and smoothly.